The US president pledged to 'defeat AIDS in America' within the next 11 years, though his past record on HIV prevention has faced criticism from Democrats. 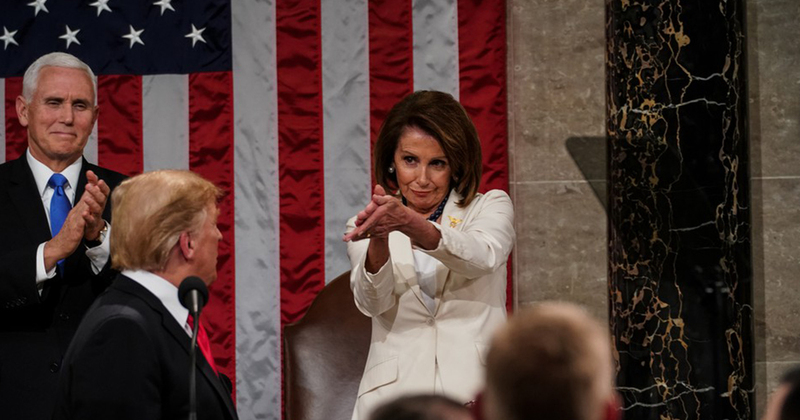 Last night’s State of The Union address saw Donald Trump make vague reference to plans to end HIV transmissions in the US within the next eleven years, without any indication of prevention strategies. Trump made the promise without any indication or reference to increased spending, research, the rollout of PrEP or action plans for national HIV prevention. In the past, the Trump administration has proposed cutting HIV and AIDS expenditure. The president has also dismissed advisory councils on the issue. As it stands, over 1.1 million people in the US are living with HIV today. 2016 saw 39,782 new diagnoses of HIV. In contrast, the NHS in the UK has announced plans to end HIV transmissions by 2030, though their promise was met with structured plans focused on increased funding and targeted prevention methods. During the State of the Union address, Trump did not mention the United States’ LGBT+ community, despite the attendance of six transgender members of the military, who had been invited by the Democratic members of Congress, in acknowledgement of the Trump administration’s proposed military ban on transgender people. The president’s address also saw a continuation of his anti-immigrant sentiment in which he stated that immigrants are responsible for a crime wave in the US, despite a lack of any evidence to support this claim.